My most recent podcast is easily the most important episode I’ve done. I talked to Chris Nowinski, a Harvard grad who pursued a dream by becoming a WWE wrestler, only to have his career taken from him because of concussion problems. 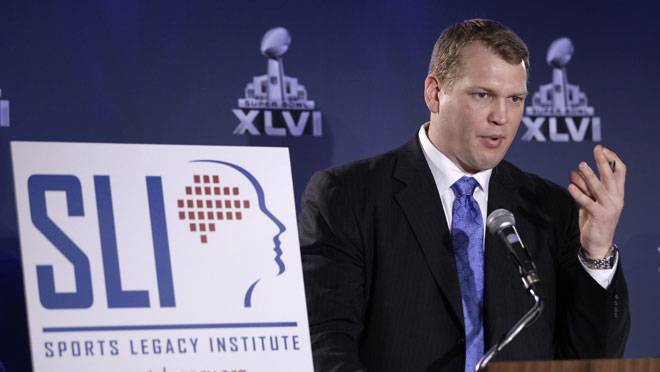 After retiring, Nowinski went on a crusade to educate athletes about the dangers of concussions, and has worked to change the culture of denial in the NFL, WWE and other sports. Nowinski’s tireless work continues to this day, and he’s making a real impact on the way concussions are both prevented and dealt with in sports. If you’ve ever played contact sports at any level, give it a listen. And if you have young children playing football, hockey or other contact sports, you MUST listen to this podcast. It literally could save your child’s life. @aryall podcast is on hiatus for a while. Sorry! RT @StephLauren: I've got a lead on a SICK social job in NYC. Entry level-ish at a company on a huge trajectory. If you love food as much as Twitter, holler. So who's gonna be at #sxsw this weekend? Peter Stringer talks to leaders in the digital, social and tradition media space.